While I haven’t posted one for a while, last year saw Love Stories from The Dawes, The Jacksons and our story! I’m going to kick off the 2012 season with the story about James’ marriage proposal to his gorgeous Clare. James is a work buddy and a fellow Project Manager. When we’re not stealing each other’s engineers for projects, we’re talking about the copious movies and TV shows we watch, our similar views on ethics and strategizing a survival plan for when the Zombie Apocalypse arises! Clare and I worked various hours every day of the week except Monday, which we usually had as a day off together. The Monday coming up was of particular significance because it represented the two year anniversary of our first date. In the weeks leading up to this day I was secretly very busy preparing for an anniversary to remember, and on the Saturday night finally told Clare that she would need to be ready for an evening out and an overnight stay on Sunday night, for our anniversary on Monday. A Silver Cab arrived to pick her up at 6:30pm on Sunday and brought her to the Blackett Hotel in Sydney, where I met her in the foyer. I quickly ran her bag up to the room while she waited for me downstairs. We walked across Darling Harbour for our booking at Zaaffran, an excellent Indian restaurant with a fine dining atmosphere and service, and on the way discovered a British lolly shop. Clare had been away from England for a couple of years by now so we picked up a few of her favourites and continued on to the restaurant. This turned out to be the right thing to say, as she smiled and said she had been a little sad that the night was almost over. Now she knew there was more but she didn’t really know what else to expect. I filled the bath with warm water, essential oils and wild flowers I had picked from around where we lived, poured the chilled wine and brought out the chocolates. The rest of the night was wonderful but I will fast-forward my story to the next morning! We checked out of the hotel and left our bag with reception, then set off with a small backpack on my shoulder. Pancakes On The Rocks was a fun and delicious way to start the day so we took our time over breakfast just eating and chatting. Afterwards we walked around the shops at The Rocks for a little while before heading to the other side of Circular Quay. There is a set of stone steps in between a club and a restaurant on the eastern side, which we climbed then crossed over Macquarie St to a large grassed area that looks over the Opera House. I chose a spot under a huge tree that afforded us a view of the Sydney Harbour Bridge as well, and spread out the picnic blanket. The sun was shining, the sky was blue, the day was warm and we had one of the best views in Sydney. I put the ring on her finger, kissed her and poured the champagne. 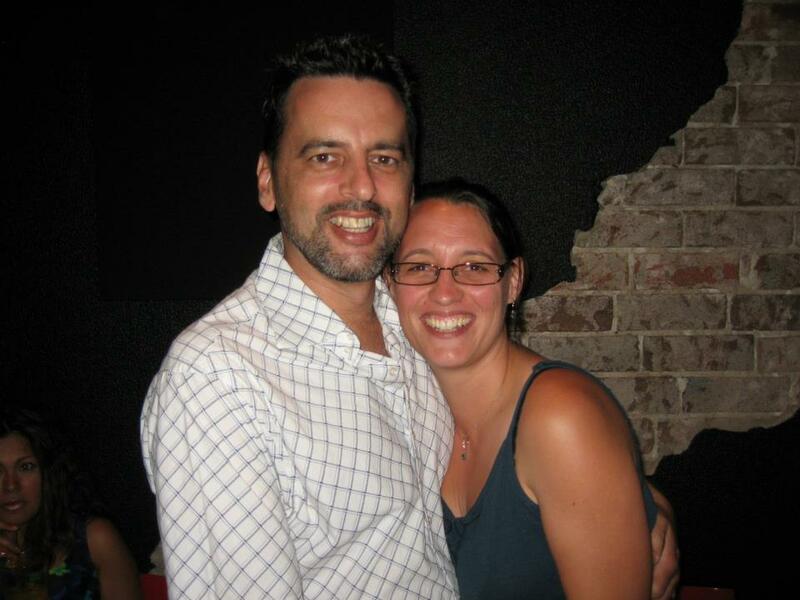 While we were still grinning like a couple of crazy kids in love, Clare called her family in Adelaide to share the news. They told her that they already knew because I had called yesterday to ask permission to marry Clare. She thought the whole thing was wonderful and it is certainly a set of memories I will always treasure.